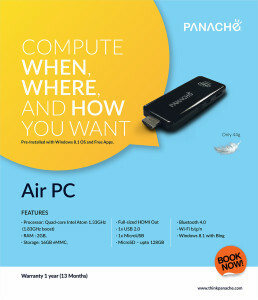 Panache is a 16 years young company, which is known for its embedded system design, manufacturing and service. They aim to be a market leader in ICT manufacturing, distributing and servicing, providing premier solutions to its clients. Integrating the wealth of technical expertise of Panache with the young, vibrant and quirky Panache, we bring to you the best of both worlds – products that are technologically sound and optimally designed.